Home > Dive Watches > What is a Dive Watch? What is a Dive Watch? Get in the know! Never have to wonder, "What is a dive watch?" again. What is a dive watch? Do only divers use dive watches? Are they practical for usage above sea-level? These are all confusing questions, but the answers are simpler than you may think. A dive watch is a watch that the International Organization for Standardization (ISO) has set apart for its adherence to certain standards, many of them relating to its ability to function underwater. However, the majority of people who wear dive watches (also known as diving watches or divers' watches) never visit the seafloor. They're perfectly practical for those of us who are not aquatically inclined, especially because they are waterproof and specifically designed to be visible in low lighting. Who couldn't make use out of that? What makes a dive watch? A rotating bezel that is built to track the time elapsed underwater since the beginning of a dive. A crown that is screwed down to keep water from getting into the watch. A water-resistant case that prevents corrosion and rusting. A shock-resistant and magnetic-resistant movement. These are some of the most popular dive watches on our site. There is sure to be something here to suit everyone. Also make sure to check out our collection of 15 of the Best Dive Watches: A Watch for Every Budget. The Omega Seamaster Planet Ocean 600m Co-Axial Master Chronometer GMT 43.5mm makes it easy to differentiate between day and night with the bi-ceramic bezel. The Blancpain 500 Fathoms GMT watch boasts a 100 bar watch resistance, sturdy titanium case, long-lasting sail canvas strap, and a helium valve. 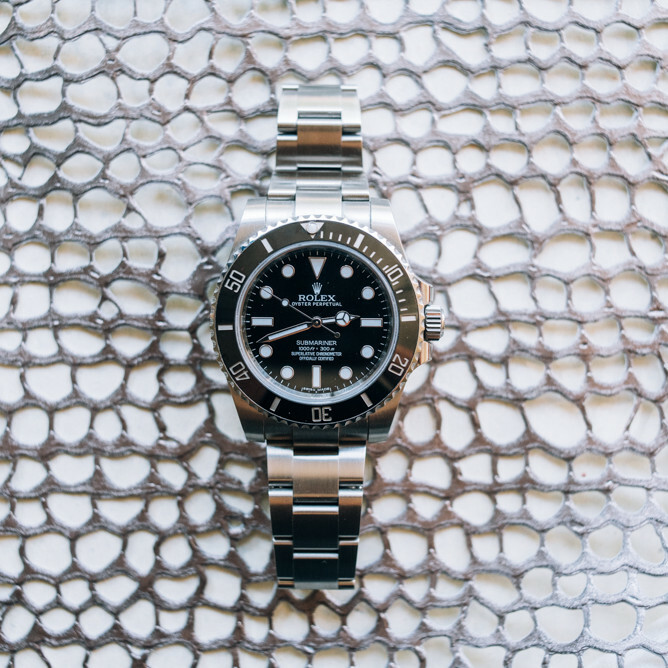 The Rolex Oyster Perpetual Submariner was produced in 2016, and it is one of Rolex's newest Submariners. These Royal Oak Offshore Diver Chronograph watches will make a statement with their unique colors and exciting design. The Breitling Chronomat 44 is also water-resistant up to 500 meters, making this watch ideal for divers. The Panerai Luminor Submersible Automatic offers a graduated scale for measuring the duration of immersions. The Rolex Oyster Perpetual Sea-Dweller features a larger 43 mm case and the new caliber 3235. This watch has a 1,220 meter water resistance. The Bell & Ross BR 03-92 Diver features water resistance of 30 bar, a unidirectional rotating steel bezel with 60-minute scale, and Superluminova-filled numerals and indices. The Seiko Prospex Sea features a screw-down crown and caseback, a 20-bar water resistance, and a luminescent coating on the hands and indices. The Heritage Black Bay has a sturdy stainless steel case and unidirectional bezel. It is water resistant up to 200 meters.